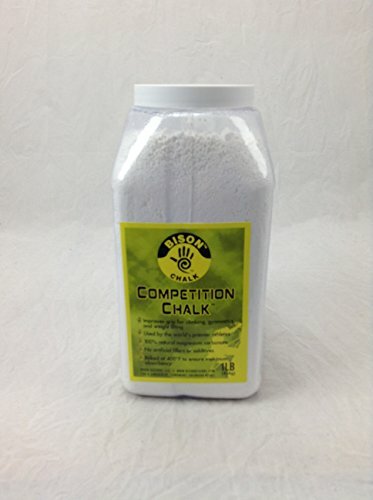 The Bison Designs Competition Chalk is the best loose athletic chalk to improve grip, for climbing, gymnastics and weight lifting. The exclusive mesh design dispenses just the right amount - prevents spills and lasts up to five times longer than loose chalk.Wt. 1 lb.. Ideal for climbing, gymnastics, weight lifting. Baked at 400° F to ensure maximum absorbency. If you have any questions about this product by Bison, contact us by completing and submitting the form below. If you are looking for a specif part number, please include it with your message.